Overview: The fastest VPN ever made. 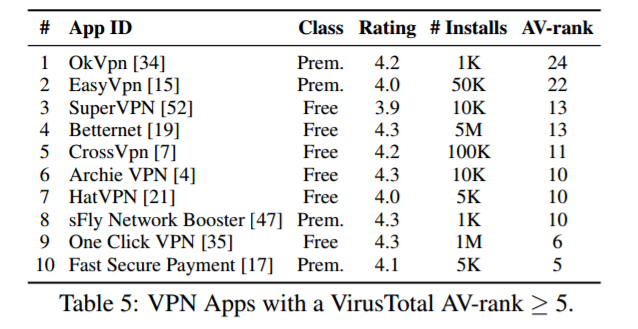 A research team has issued a warning over the lack of security in many VPN apps available from Google Play. A worrying 38% of the apps tested contained some kind of malware while 67% featured at least one third-party tracking library. More than eight out of ten leaked IPv6 traffic.